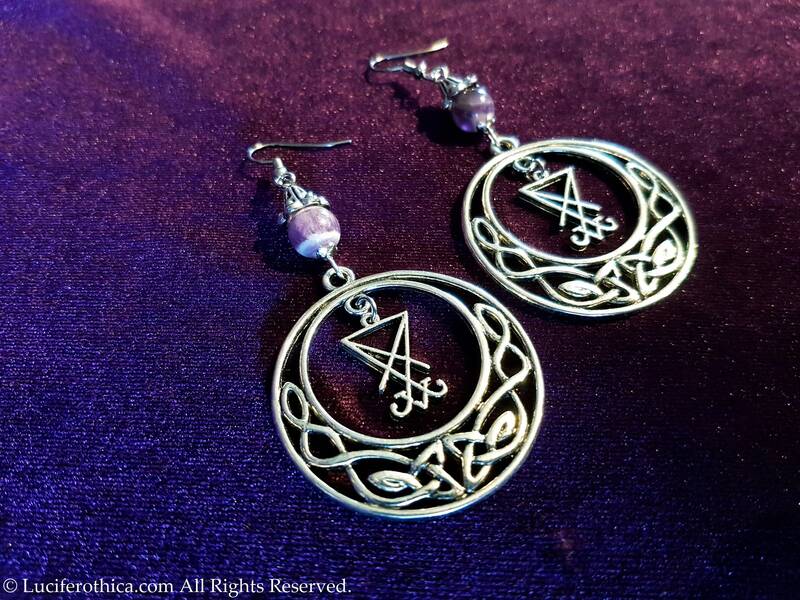 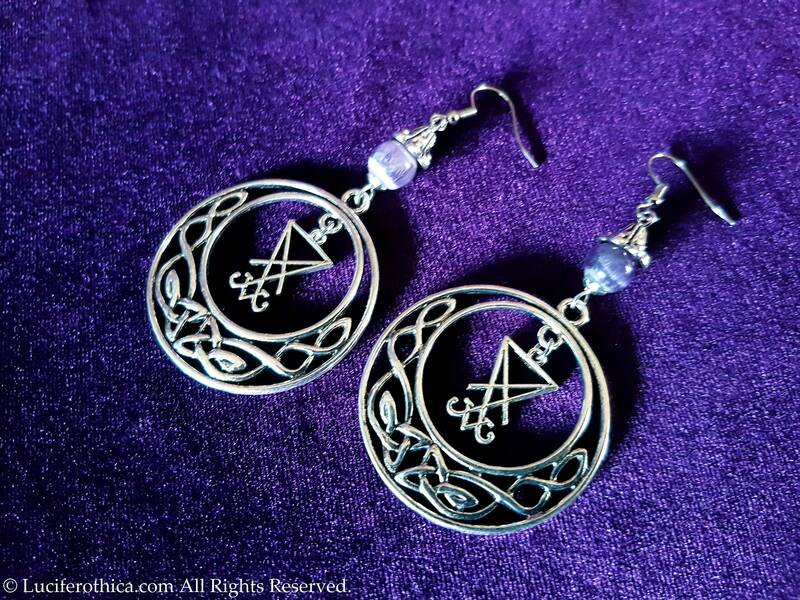 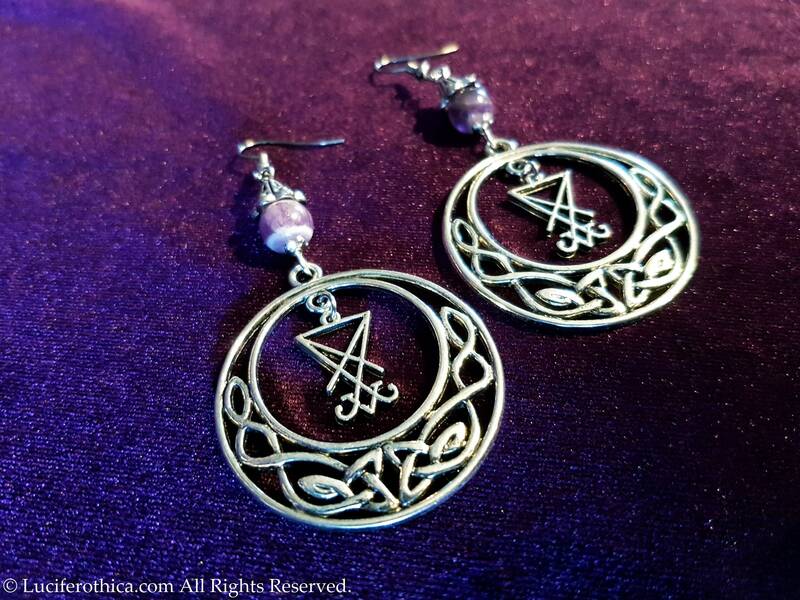 Sigil of Lucifer Tribal Earrings. 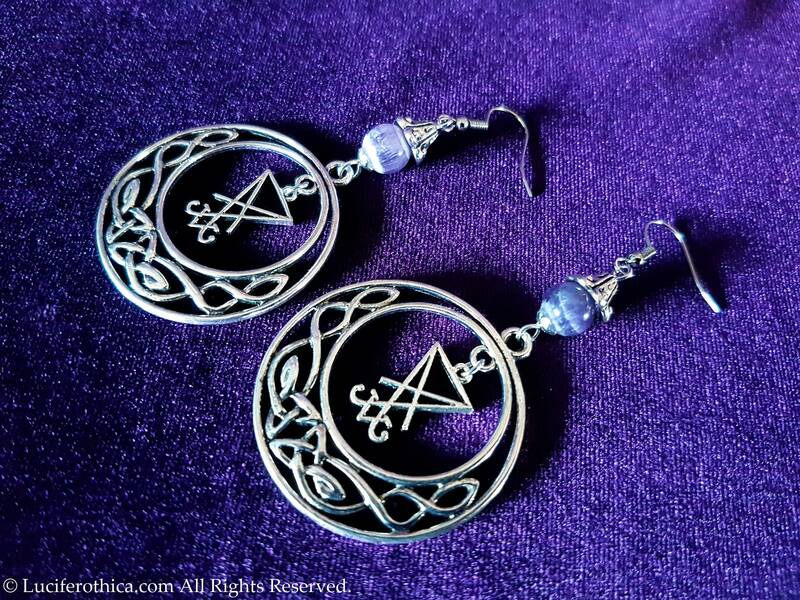 Tribal ornament is 4cm in diameter. 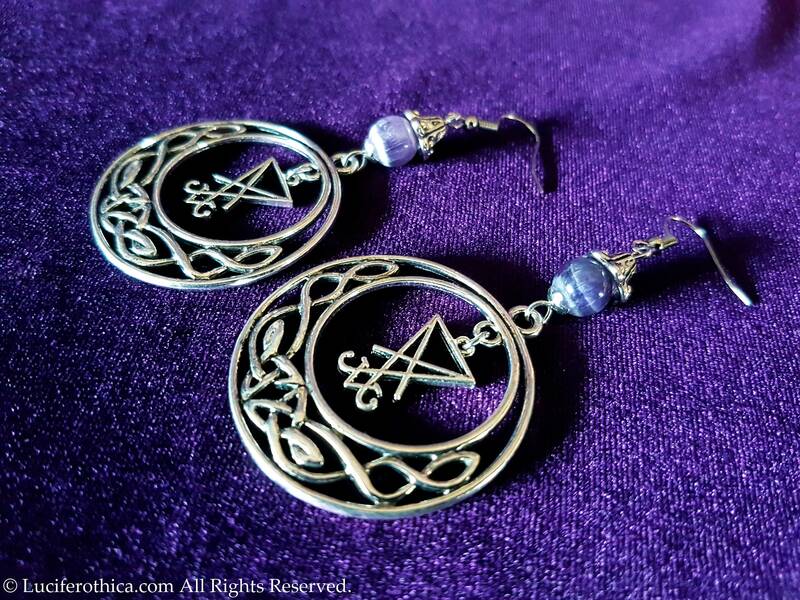 Sigil of Lucifer in the middle & Amethyst gemstone beads on top.